February 5, 2019 Anthony Jahn, M.D. Dr. Anthony Jahn answers questions each month for CS Music. If you have a question, email support@csmusic.net. How do Haller cells and a nasal polyp affect resonance? What solutions do you recommend? From your question it sounds like you have been seeing somebody for sinus problems. As you know, the sinuses are normally air filled cavities, mostly in the bones of your face. Some of the cavities, like the maxillary sinuses in your cheeks, are big, and some are smaller. 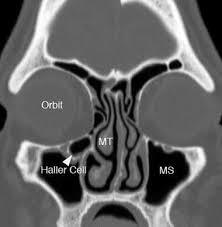 Haller cells are just tiny cavities between the maxillary and ethmoid sinuses. They are not always present and when they are there they are usually not a problem unless they are obstructing drainage of the other sinuses into the nose. There is nothing specific pertaining to Haller sells that distinguishes them from other sinus cavities,, and certainly not in terms of their affect on the voice. Their main potential negative affect is that they can get in the way of normal ventilation to the adjacent sinuses. In general. the nose and sinuses are involved in voice production in two major ways. The nasal cavities are important for nasal resonance and possibly some sound amplification. Since your soft palate lifts and closes off the nasopharyngeal inlet when you’re singing, the sound vibrations in your nose mostly derive from the hard palate. 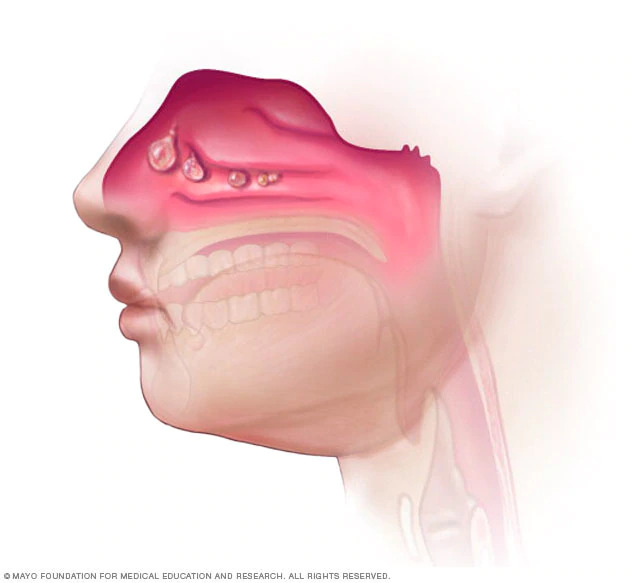 If the nasal passages are blocked, either by swelling, a deviated septum, or polyps, the voice becomes hyponasal and flat (in quality, not in pitch). It is as if you were singing with your nostrils pinched together. The sinuses play a role primarily in the mask sensation, as the voice comes forward into the facial bones. Acoustically this contributes little to the voice, but it significantly affects how you hear your own voice, through bone conduction and proprioception. This is where sinus occlusion, including the tiny Haller cell, may play a role. My concern with your question, is that may have told you that you have a blocked ( or obstructing) Haller cell and this needs to be treated to improve your voice. An isolated small sinus cell should not significantly affect your voice, and if you were considering surgery for this, I would advise a second opinion. Anthony Jahn M.D., noted author and professor of clinical otolaryngology at the Columbia University College of Physicians and Surgeons, has offices in New York and New Jersey and is a noted author of The Care of the Professional Voice.